Endowments, community foundations, and many other nonprofit organizations constantly grapple with decisions governed by their organization’s spending policy: how much should they distribute annually? How might they strike a balance between the visible spending needs of today with those of the future? And how might they best manage the volatility of spending from year to year? There are several ways to go about managing the spending policy. 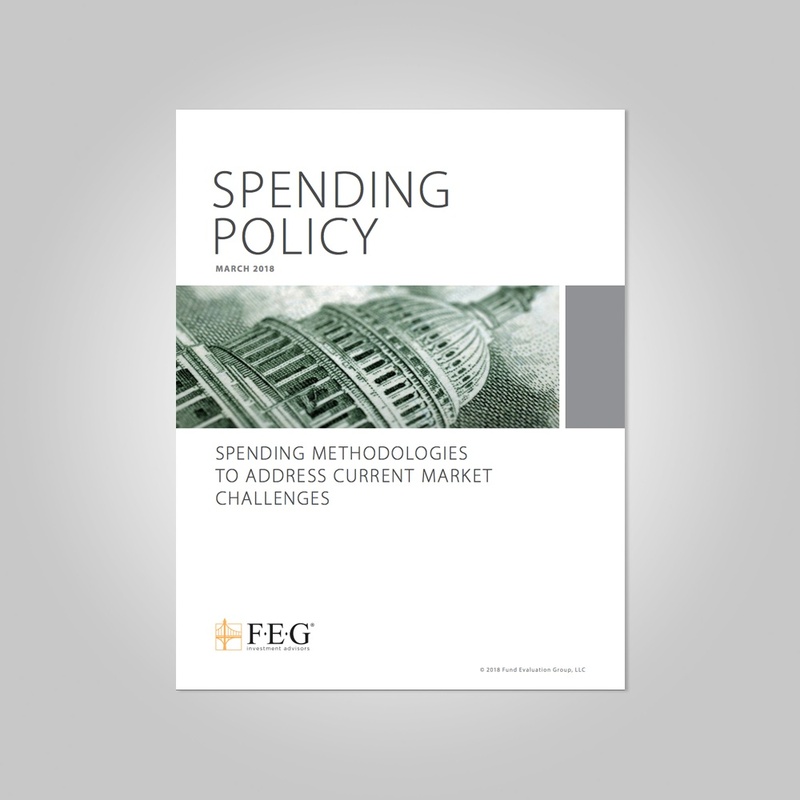 FEG’s experienced professionals can collaborate with your organization to develop a detailed analysis of its spending policy and assist in determining the appropriate level of spending given your organization’s unique objectives and constraints.